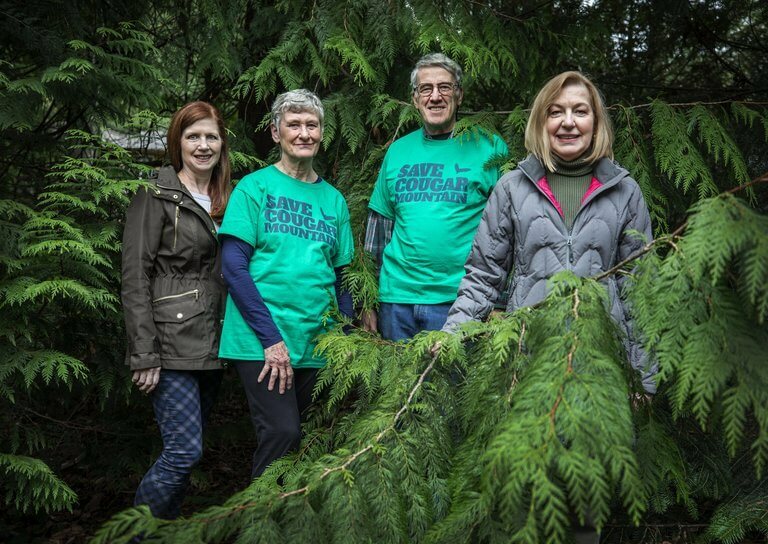 Many of you may have read the January 9th Seattle Times article, “It did not seem right,” describing the organizing effort led by a core group of Issaquah residents to save an area on Cougar Mountain from development. The success of their activism should inspire us all to remain vigilant in protecting our community and environment. East Shore’s own David Kappler played a critical role in this important preservation project, promoting and achieving an alternative to a multimillion-dollar housing development on Cougar Mountain. David’s and his colleagues’ effort saved 46 acres to be added as parkland. David also led an earlier effort to save 226 acres of forest on Squak Mountain. The core group of citizen activists attended “36 regular Issaquah City Council meetings; 15 face-to-face meetings with one of the Issaquah Council members: four with city planners, five with Issaquah Parks, nine with King County Council members” to advocate their alternative vision. They managed to raise enough money from the Trust for Public Land, Issaquah City and King County, to buy the land and create a park. The deal should close at the end of February. So thank David and all the other citizens who have worked so diligently to promote a vision preserving local park lands for generations to come. David’s work on land preservation in the Issaquah area is a prime example of somebody who is motivated to act by how important an issue is to them personally. David is also a driving force on the Grounds Committee at East Shore, another place where his passion for the natural world has led him to play a major role.